Hello! Recently, I've been attracted to color as the focal point of my outfits. In the past, I've styled my outfits mainly around various prints and patterns as well as texture. I think that texture will always play a large role in my style choices but I've been relying less and less on prints and patterns in the past few weeks. I used to view color as one of the less important elements of an outfit but now I recognize and appreciate the ability of color to create bold looks. In particular, I've been really drawn to warm colors like the mustard yellow color that I'm wearing above. 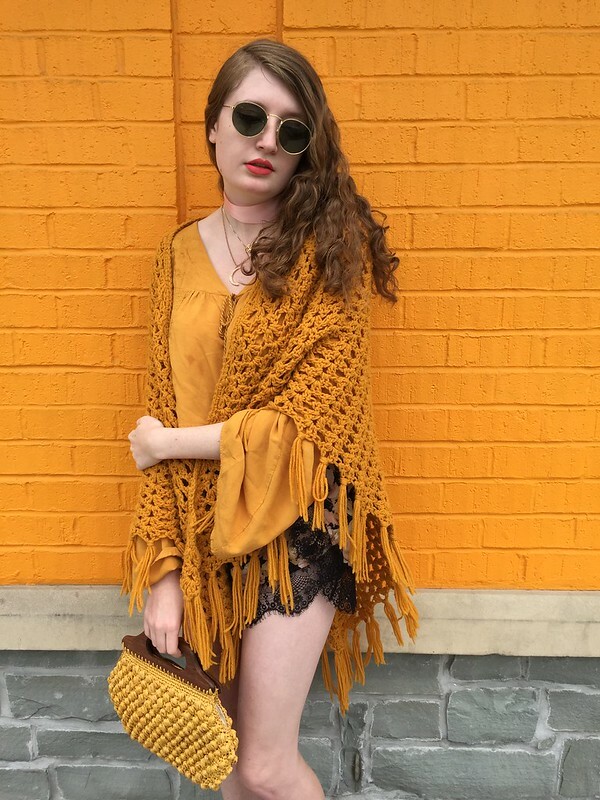 For this look, I styled a mustard yellow, bell-sleeve top with a matching mustard yellow shawl. I also donned a vintage yellow purse and warm-colored neutral platform heels to accentuate the mustard yellow. 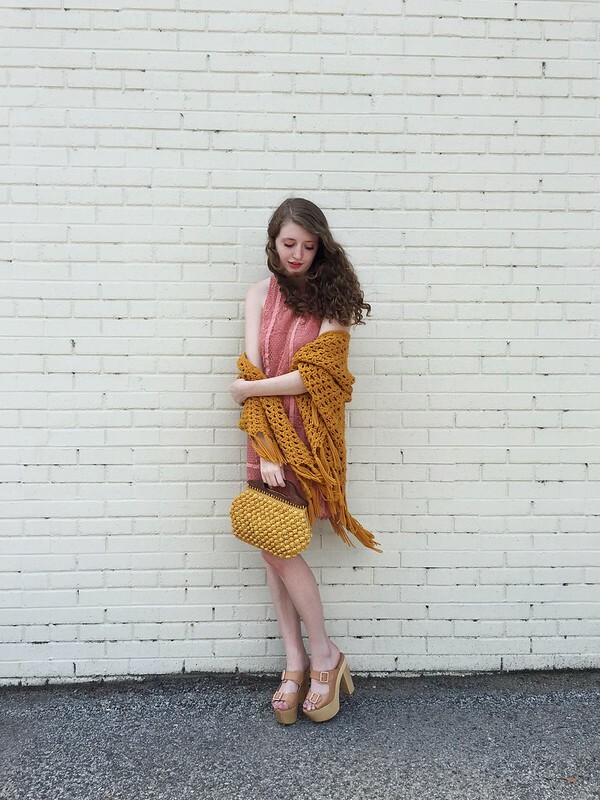 I shot these photos against a cheery yellow wall to emphasize the colors of this look even further. However, color isn't the only important element of this look. 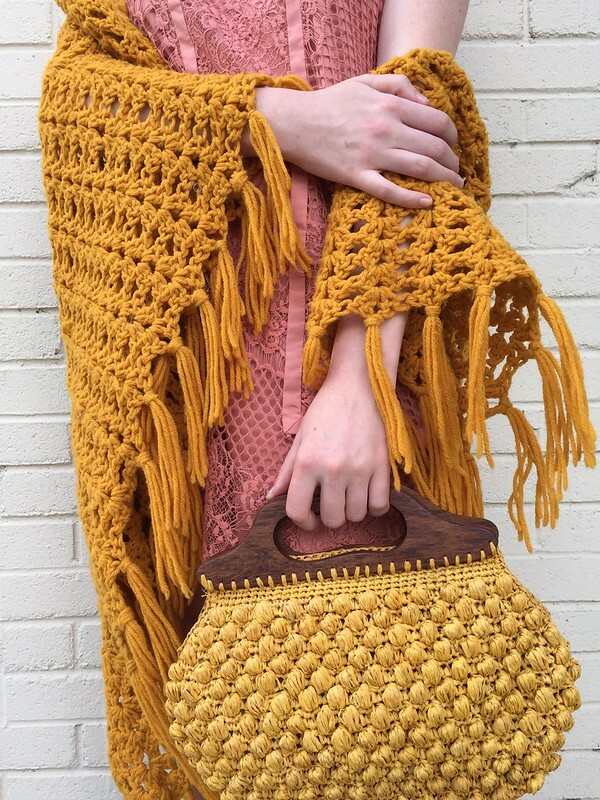 The knit shawl and straw purse both have interesting textures and I highlighted the texture in the look even further by slipping on a pair of lace-trimmed shorts. 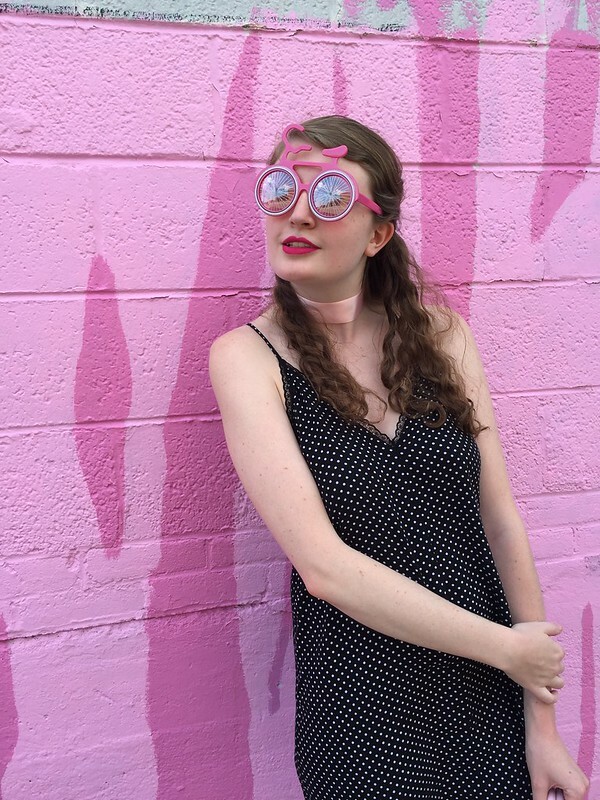 Accessories perfected this free-spirited look; I slipped on a pair of golden-rimmed sunglasses, a couple golden necklaces and tied a pink ribbon around my neck to capture the choker trend. Lipstick: ColourPop matte lipstick in "Donut"
Hello! 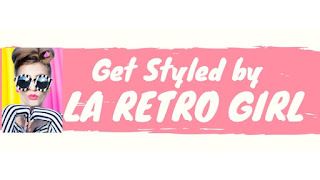 For this upcoming month, I'm feeling inspired by the nostalgic beauty, design and fashion of the seventies. There's a certain softness and warmth to the decade that I can't help but be influenced by. Seventies icons, Jane Birkin and Joni Mitchell, both serve as two of my major sources of beauty inspiration this month. I'm particularly enchanted by their fresh faced beauty routines; the bare faced makeup of the two icons feels perfect for the warm summer weather. Soft, natural makeup is currently tugging on my heart strings; I'm loving light peachy colored makeup, natural brows and defined lashes right now. Natural hair texture and messy braids are on my mind as fair as hairstyles go. Soft warm colors aren't only found in my makeup bag this month though, they can also be found in my wardrobe. I'm currently drawn to light feminine colors like peaches, light yellows, warm oranges and light nudes. They evoke a softness, an airiness, a sense of nostalgia that just feels so right for this month. I'm shying away from prints as a major source of inspiration and am rather feeling more inspired by textures and the juxtaposition of different textures together. Feathery textures, pleated textiles and lace fabrics are a few of the elements that are influencing what I put on when I'm getting dressed in the morning. Hello! Ashby never fails to cause me to swoon over their incredible selection of merchandise. I'm back in Richmond for the summer and have already made several Ashby shop visits. In the span of a week, I've been to Ashby about four or five different times- do the employees ever get tired of me? For those of you who aren't familiar with Ashby, Ashby is the best fashion resale retailer that I've ever encountered. They buy and sell a variety of fashion-forward clothing, shoes and accessories for both men and women. Their merchandise moves through their shop so quickly that you can visit one day then come back a few days later and they'll have a whole slew of new items for sale. Ashby is located in Carytown in Richmond, VA right next to Mellow Mushroom. 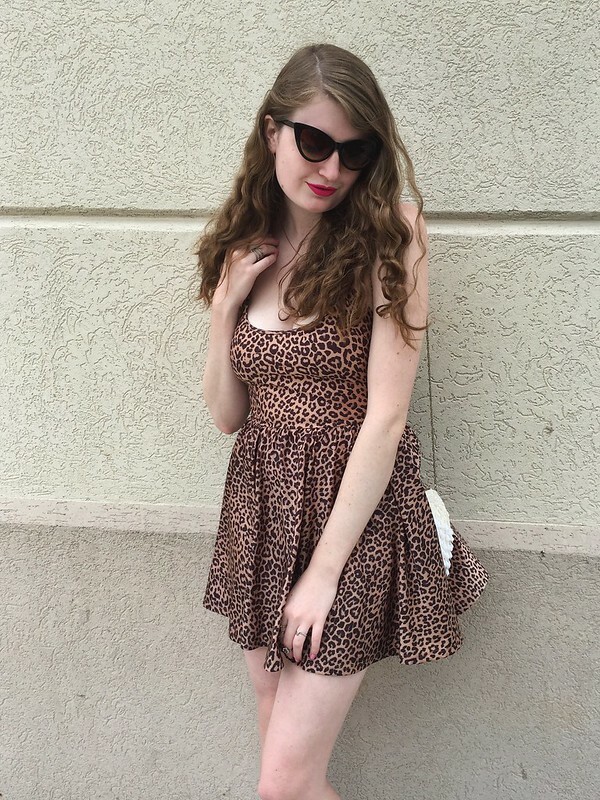 On one of my recent Ashby visits, I scored this stunning leopard print dress. When I spotted it hanging on the rack, the bold feline print, slinky fabric and flattering silhouette all attracted me to it. The brand also caught my eye; this dress was originally from American Apparel. It fit like a dream when I tried it on and I knew that it had to be mine. 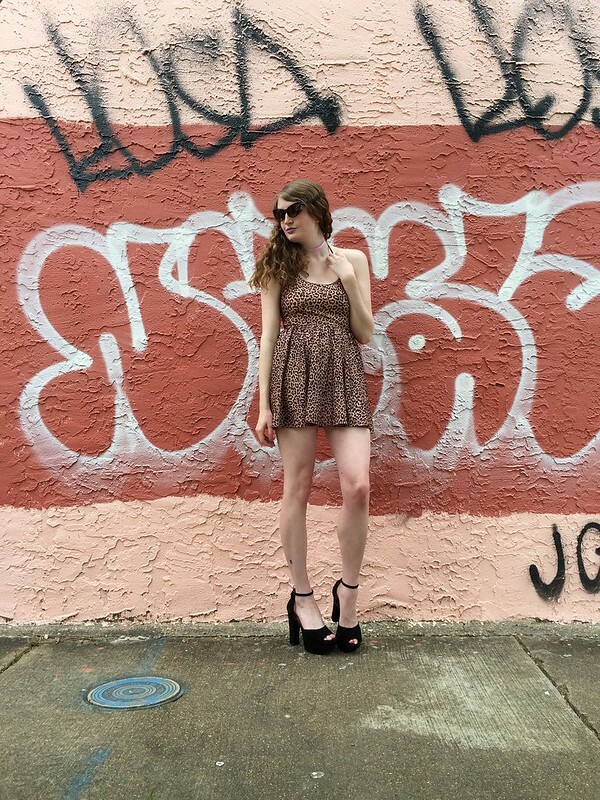 For just $18, this dress was a steal! Especially since I still had store credit from selling some of my unwanted clothing to Ashby earlier in the week. 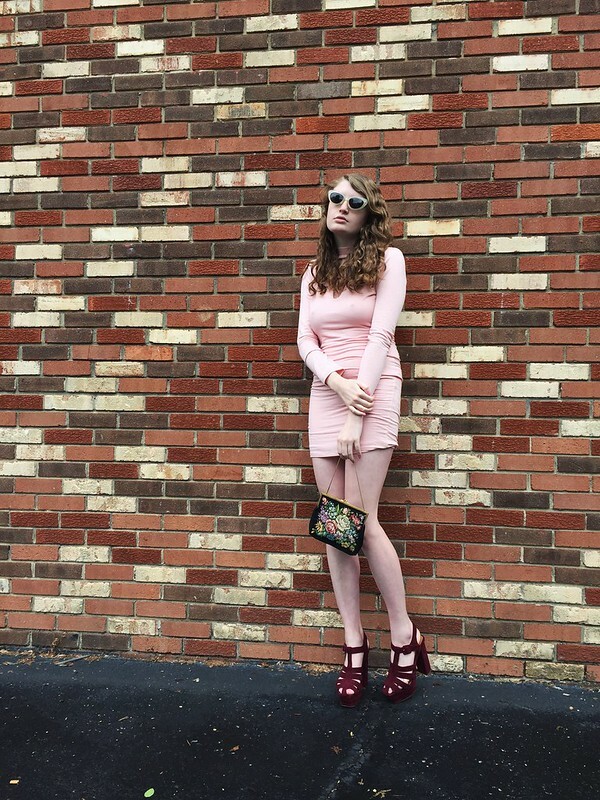 This dress is one of American Apparel's popular skater dresses and it retails for $56. 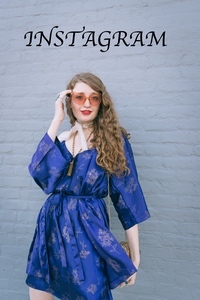 The dress I scored is actually still available for sale on AA's website! But I got it for a 1/3 of the price. 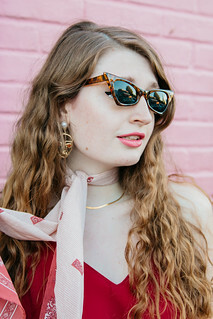 For this look, I styled the dress with a fifties-inspired pair of cat-eye sunglasses and bright pink lipstick to accentuate the retro feeling of the dress. I accessorized with several golden rings, a personalized name necklace and vintage purse. I finished the look with a versatile pair of black platform sandals. In addition to the dress, my sandals and cat-eye sunnies are actually from Ashby as well. If you live in the Richmond area and haven't shopped at Ashby yet, I would highly recommend a visit ASAP; trust me, you won't regret it! Hello! This past February, I was featured in the up-and-coming Philadelphia digital publication, Philly Model Magazine. The publisher of Philly Model Magazine, Mike Hirata, ran a competition for those featured in the issue to hype their features up on social media. Of course, I was ecstatic to even be featured so I promoted my feature as much as possible and was lucky enough to be the winner of the competition. Mike and I met up a few weeks ago to discuss the magazine as well as do a quick photoshoot. This was one of my favorite photos from the shoot but you can see all the photos from the shoot in this album on Facebook if you desire. The April 2016 digital issue of Philly Model Magazine is now out- be sure to check it out! You don't want to miss the wrap-up of the most recent Philly Fashion Week. 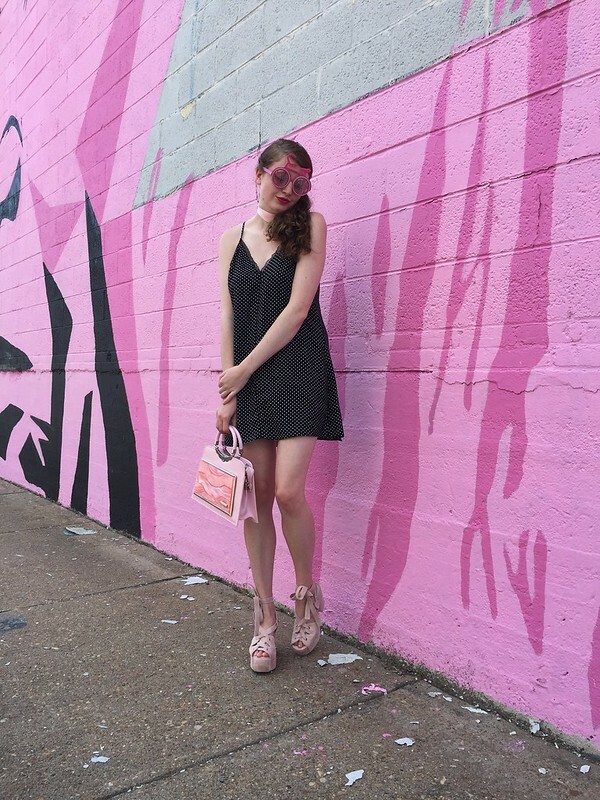 And you can keep up with Philly Model Mag on Facebook, Instagram and Pinterest. Hello! This spring/summer 2016 season is just full of trends that I can't get enough of! This season, embellished denim established itself as a major trend. Designer brands such as alice + olivia, Valentino, Marc Jacobs and Dolce & Gabbana have all defined embellished denim as a trend to keep your eye on. This trend isn't just for jeans though; this trend encompasses all items of clothing and accessories. Yes, even denim shoes! I can't get enough of the Marc Jacobs denim platform heels featured above. You can shop this trend at fashion-forward retailers like Nasty Gal. However, you could easily DIY this trend. Just take a pair of your denim jeans that you're no longer feeling (or scoop up a pair at a thrift shop for cheap) and embellish away! From beading to patches to pearls, all sort of embellishing is encouraged with this trend. By DIYing this trend, you can choose exactly what sort of embellishment your denim will utilize. I created these sets through Polyvore [links to these sets and the items included: #1, #2]. Hello! I recently made my first ColourPop purchase and the second that I tried out the products that I ordered, I knew it was love. I know that I'm a little late to the ColourPop party but hey, I'm just glad that I arrived. For those of you who haven't heard of ColourPop, they are a hip, up-and-coming beauty brand targeted towards visually-inspired college students and young creatives. ColourPop has only been around for about two years but they've already managed to make a huge splash in the beauty industry. While they have prices that you'd expect from drugstore beauty products, they're certainly no boring, drugstore makeup brand. They offer a wide array of creative beauty products in fun colors. Their fun products are sold online through their site. As an added bonus, all first-time customers get $5 off their order and if you spend $30, shipping is free! ColourPop is especially well known for their matte liquid lipsticks- which have been proven to actually contain the same ingredients that the Kylie Lip Kits have but for a fraction of the cost: ColourPop matte lipsticks cost $6 while the Kylie Lip Kits cost over three times that amount. I decided to see what all the hype was about and ordered one of ColourPop's matte liquid lipsticks to try out for myself as well as one of their eyeshadows. 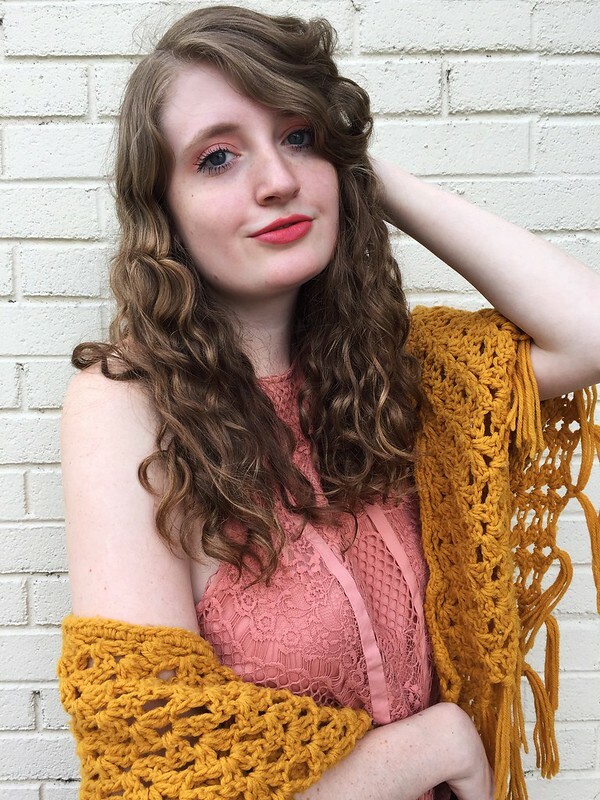 I've been super into seventies-inspired, peachy makeup recently so I ordered their matte liquid lipstick in "Donut" and their eyeshadow in "Cheeky." The lipstick cost $6 while the eyeshadow cost $5- both great deals. I'm wearing both the eyeshadow and the lipstick in the photos above and am completely in love with them both. Basically I want to wear this makeup look practically all the time. The products are great quality and I love the nostalgic feel of this look. I'm also wearing Glossier's boy brow in blonde and Benefit's lengthening mascara. For this outfit, I wanted to emphasize the peachy color of my makeup so I slipped into a peachy-colored lace dress. To highlight the nostalgic seventies mood of my makeup, I styled the feminine dress with a vintage, mustard-yellow knit shawl and vintage textured yellow purse. I slipped into a pair of seventies platform heels to perfect the look. As a side note, I love my ColourPop lipstick and eyeshadow so much that I actually just ordered seven new products from their site. Stay tuned to see how I wear them! Also, if you haven't checked out ColourPop's site or ordered anything from them before, I'd recommend popping over to their site to check out their incredible selection of swoon-worthy products. Next on my list to try? One of their beloved highlighters. Hello! Happy Mother's Day! I hope that you all have enjoyed celebrating your moms today. 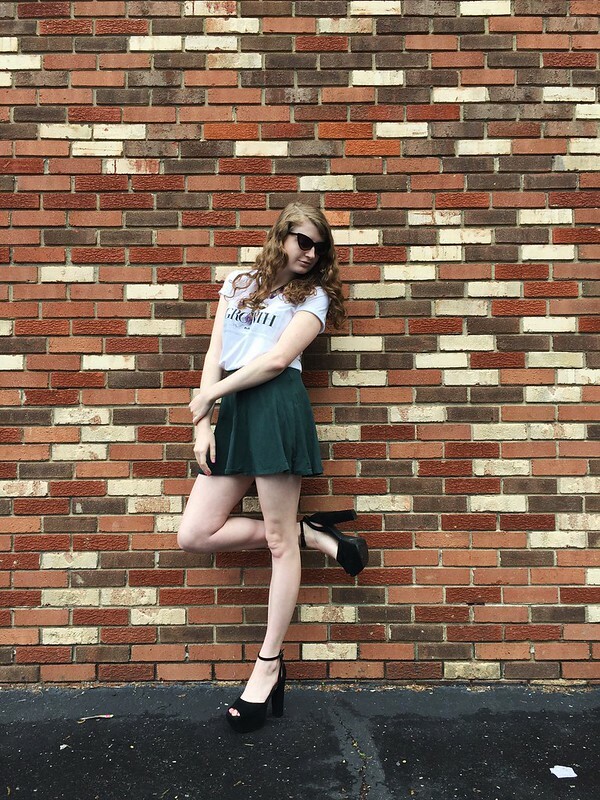 And on that note, I'd like to say a quick thank you to my mom: Thank you for constantly taking photos for my blog for me (even when I complain about "dirty" grass and the lighting.) Thank you for letting me constantly borrow your purses. Thank you for listening to me constantly talk about what a look my outfit is or whatever new item I just added to my wardrobe. Thank you for everything that you do. Hello! Recently, Kim from Sid Kassidy sent me a few of her beautiful pieces of jewelry to style on my blog. SidKassidy, an etsy shop, specializes in edgy minimalist jewelry in pewter and silver. I received a statement silver clutch, chic triangle necklace and stylish earrings. When I opened up my package in the mail, I was impressed by the nice packaging and great quality of the pieces of jewelry. The clutch, necklace and earrings can easily be worn together for a cohesive look but would also all look great by themselves. 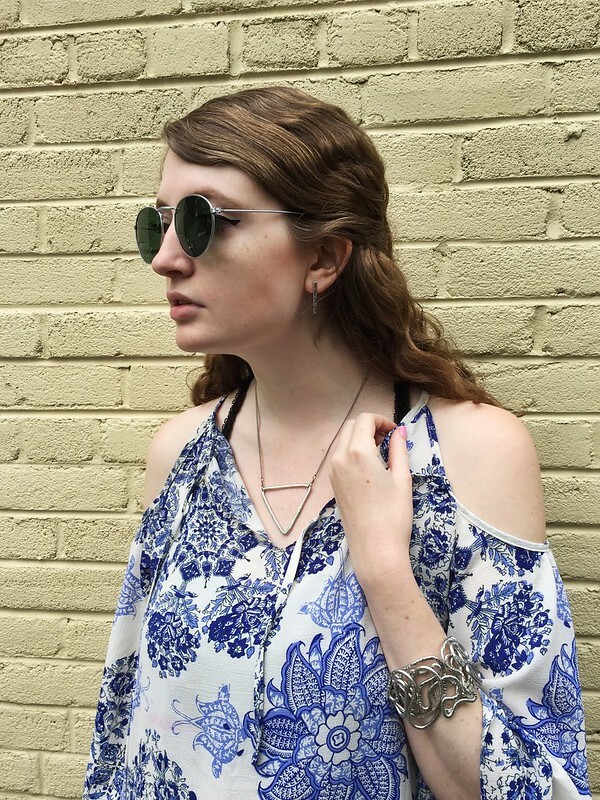 For this look, I styled the pieces of jewelry with a stylish blue and white porcelain print dress; I decided to pile on all three pieces of jewelry together to make a statement. I also grabbed a pair of silver sunglasses to emphasize the silver color of the pieces of jewelry. Hello! This spring/summer 2016 season has been the first season that I've really taken to almost all of the trends that walked down the runway, from baby blue colors to eye-grabbing stripes to choker necklaces to this stunning off the shoulder trend. However, I think that the off the shoulder trend may be my favorite fashion trend this season. It's flirty and playful while also still put-together and feminine. 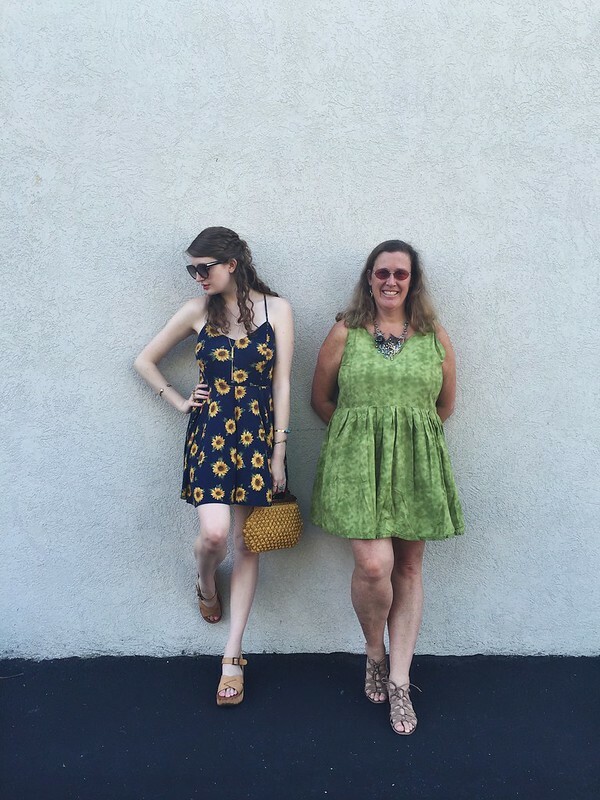 This trend can be found in a variety of different styles from bohemian to preppy to feminine. 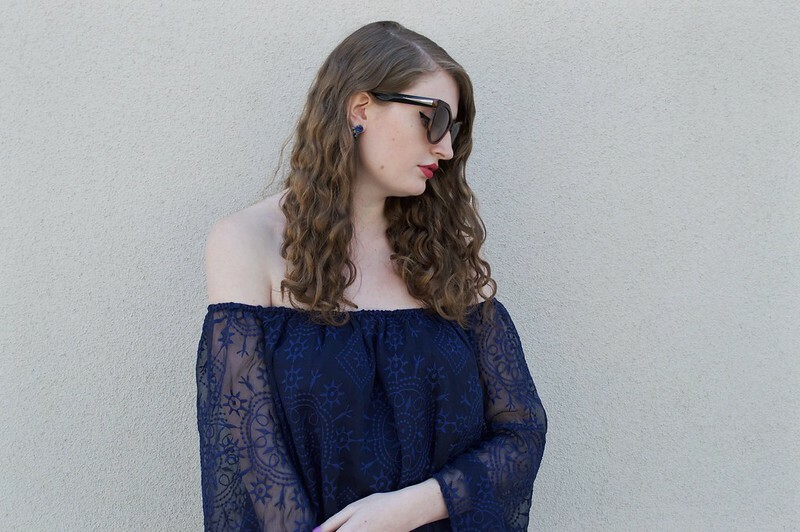 I'm particularly drawn to the boho, free-spirited off the shoulder options. Count me in for adventurous prints, unique embroidery and interesting texture! The off the shoulder pieces from the spring/summer 2016 ready-to-wear collections of Alice + Olivia and Madewell were by far my favorites. Other designers that included this flirty silhouette in their spring/summer 2016 collections include Boss, Tory Burch, Prabal Gurung, Creatures of the Wind, Paul & Joe and Chloé. 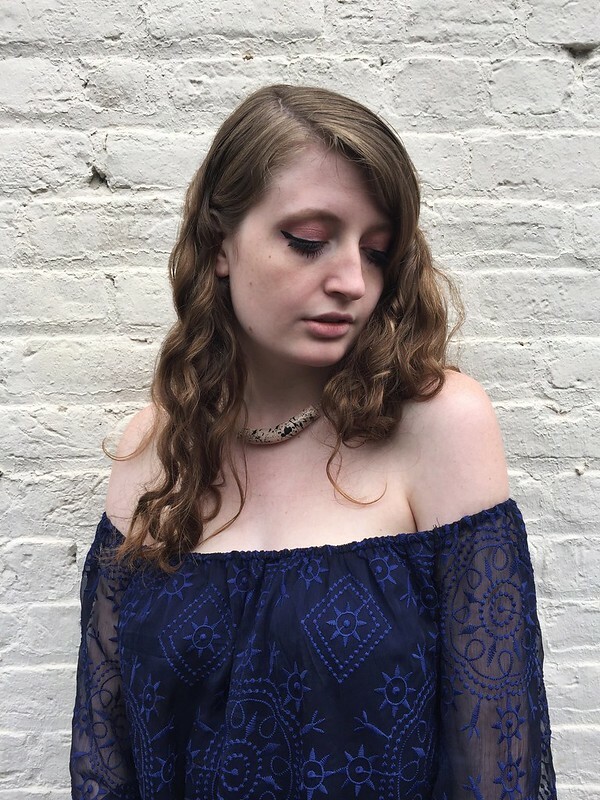 One of my favorite things about this trend is that it exposes and emphasizes part of the body that is usually covered up- the shoulders, collarbone and neck. And it does so in an incredibly flattering manner. We're used to seeing tiny mini skirts strut down the runways, leaving a lot of leg exposed or crop top after crop top, exposing half the torso. 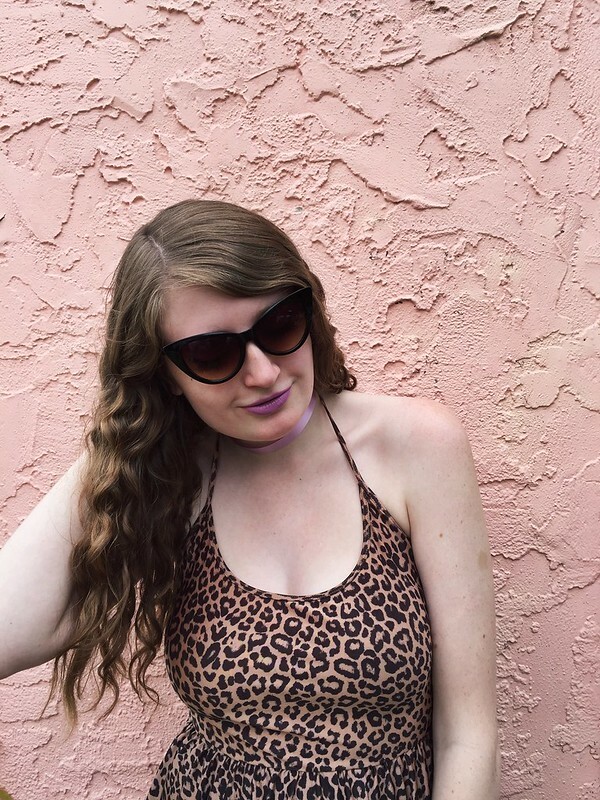 Not everyone feels like they can pull these styles off (you won't ever catch me in a crop top with my stomach out!) because they are not always universally flattering. However, leaving your shoulders, collarbone and neck exposed flatters every body type while instilling a sense of grace and beauty. I've already added one off the shoulder piece to my wardrobe and will keep a look out for more of this flattering trend to add to my wardrobe. Wondering where you can purchase this trend for yourself? I'd recommend Tobi (where my off the shoulder piece is from! ), Nasty Gal and Free People.